3. New Face of Islam in Eastern Nigeria and the Lake Chad Basin: Essays in Honour of Simon Ottenberg. Makurdi: Aboki Publishers, 2012. 4. With Okpoko, Pat U., and Anugwom, E. (eds.) Perspectives on Leadership in Africa. Nsukka: Afro Orbis, 2010, 363 pages. 5. Masculinities in Contemporary Africa. Dakar: CODESRIA, 2008, 280 pages. 6. “Introduction” in Uchendu, E. New Face of Islam in Eastern Nigeria and the Lake Chad Basin: Essays in Honour of Simon Ottenberg. Makurdi: Aboki Publishers, 2012. 7. “Conflict and Islam in the Eastern Niger Delta” in Uchendu, E. New Face of Islam in Eastern Nigeria and the Lake Chad Basin: Essays in Honour of Simon Ottenberg. Makurdi: Aboki Publishers, 2012. 8. With Okpoko , P. U. and Anugwom, E. “Discourse on African Leadership,” in E. Uchendu, Okpoko , P. U. and Anugwom, E. (eds.) Perspectives on Leadership in Africa. Nsukka: Afro Orbis, 2010, 1-15. 9. “Are African Males men? Sketching African masculinities,” in Uchendu, E. (ed.) Masculinities in Contemporary Africa. Dakar: CODESRIA, 2008, 1-17. 10. “Woman-woman Marriage in Igboland,” in Azodo, A. U. and Eke, M. N. (eds.) Critical Essays on Gender and Sexuality in African Literature and Film. Trenton, New Jersey: Africa World Press, 2006, 141-155. 11. "Women, Power, and, Political Institution in Igboland," in Ogundira, A. (ed.) Precolonial Nigeria. Trenton, New Jersey: Africa World Press, 2005, 203-214. 12. With Nkiru Awachie, “Labeling female academics in a University,” in Erinosho, L. (ed.) Ethics in Higher Education in Nigeria. Abuja: S.S.A.N., 2004. 13. “The growth of Anioma cities,” in Falola, T. and Salm, J. (eds.) Nigerian Cities. Trenton, New Jersey: Africa World Press, 2003, 153-182. 14. "Women in Anioma and the Nigerian Civil War," in Falola, T. (ed.) Nigeria in the Twentieth Century. Durham, North Carolina: Carolina Academic Press, 2002, 445-462. 15. "The last passage rite and women in Anioma," in Falola, T. (ed.) Nigeria in the Twentieth Century. Durham, North Carolina: Carolina Academic Press, 2002, 639-648. 16. “Integrating ICT Among the Teaching Facilities in the Faculty of Arts, University of Nigeria” (For Faculty of Arts, University of Nigeria. Available @ https://unn-ng.academia.edu/egodiuchendu, 9 pages. 17. “De-masculinising Development and Democracy in Africa: Challenges and Opportunities” (For the Council for Social Science Research in Africa (CODESRIA), Dakar, 2006, 19 pages. 18. “Towards an Understanding of Changing Masculinities for Gender Research in Africa.” (For the Council for Social Science Research in Africa (CODESRIA), Dakar, 2005, 28 pages. 19. “Masculinities in Contemporary Africa”, Director’s Report on the 2005 CODESRIA Gender Institute of 13thJune – 8th July 2005. 20. “Negotiating Relationships in a Mixed Religious Society: Islam in Southeast Nigeria,” Journal of Third Word Studies 28, no. 2 (2011), 207-231. 21. “Being Igbo and Muslim: The Igbo of South-eastern Nigeria and Conversions to Islam, 1930s to Recent Times,” Journal of African History 51, no. 1 (2010), 63-87. 22. “Evidence for Islam in Southeast Nigeria,” The Social Science Journal (Elsevier), 47, no. 1 (2010), 157-176. Humanities 9, 1 & 2 (2009), 115-140. 24. “Female Political Participation in the 2003 Elections in Nigeria,” Asian Women 24, 1 (2008), 51-74. 25. “Reflections on Islam in Yorubaland,” Nsukka Journal of the Humanities 17 (2008), 54-63. 26. “Recollections of childhood memories of the Nigerian Civil War,” Africa 77, 3 (2007), 393-418. 27. “Masculinity and Nigerian Youths,” Nordic Journal of African Studies 16, 2 (2007), 279-297. 28. “Gender and Female Chieftaincy in Anioma,” Asian Women 22, 2 (2006), 17-46. 29. “Teaching in a Nigerian University,” Nigerian Heritage 14 (2005), 135-149. 30. “Girls lives in Anioma,” Asian Women 19 (Winter 2004), 175-195. 31. “Religion and nation-building,” Nigerian Heritage, 13 (2004), 132-144. 32. "Culture: The obstacle to active female participation in governance among the Igbo of Nigeria," Asian Women, Special Issue on African Women, 15 (2002), 73-94. 34. ‘‘Critical Evaluation of Nigeria’s Historiographical Tradition’’. https://unn-ng.academia.edu/egodiuchendu, 15 pages. Philipp Bruchmayr, “Uchendu, Egodi (2011): Dawn for Islam in Eastern Nigeria. A History of the Arrival of Islam in Igboland. -- Klaus Schwarz Verlag: Berlin, 283 S” in Davo 2013, 100-101. INTERVIEWS  Nigeria's Defence policy long overdue for review - GOC 82 Division, DailyPost Nigeria, 25 January 2015.  http://www.africanexaminer.com/review-of-nigerias-national-defence-policy-long-overdue-says-82-division-goc/, African Examiner, 23 January 2015. 1. “Men at Work Keep-Off: Male Roles and Household Chores in Nigeria” for Journal of Gender and Society (2015). 2. “An Appraisal of the Influence of State and Class on the Foreign Policies of Obasanjo’s Administrations, 1976 – 1979 and 1999 – 2007” for CODESRIA’s African Journal of International Affairs, Dakar, Senegal (2012). 3. “From owners to Holders: A Historical Study on Contested Hegemony over Land between the Bakweri Land Claims Committee and the Cameroon Government, 1946-2007” for Nsukka Journal of the Humanities (2012). 4. “A Diegetic Analysis of the Scholarly Works of Six ATWS/ASRF Women: Peyi Soyinka-Airewele, Theodora Ayot, Doyin Coker-Kolo, Rita Kiki Edozie, Mueni wa Muiu, and Mojúbàolú Olúfúnké Okome” for Journal of Third World Studies, Georgia, USA (2010). 5. “Women Menstrual Cycle, Menopause and Kolanut Ritual in Oguta Tradition: A Historical Survey” for Jenda: A Journal of Culture and African Women Studies, CUNY, New York, USA, (2008). 6. “Gender and the Challenges of Academia in a Nigerian University” for Jenda: A Journal of Culture and African Women Studies, CUNY, New York, USA, (2007). 7. “Factors affecting participation of women in smallholder dairy production: Implications for agricultural policy” for Jenda: A Journal of Culture and African Women Studies, CUNY, New York, USA, (2007). 8. “The influence of age, gender and marital status on teaching Effectiveness of academic staff in polytechnics in Ondo and Ekiti States, Nigeria” for CODESRIA’s Journal of Higher Education, Dakar, Senegal (2007). 9. “The University System in Nigeria and the 2004 Pension Reform Act” for CODESRIA’s Journal of Higher Education, Dakar, Senegal (2007). 10. “Gender perspectives on Sexuality, Sexual Harassment and Ethical Standards in the Ivory Tower” for CODESRIA’s Africa Development Journal, Dakar, Senegal (2006). 11. “Job-related Stress among lecturers in Nigerian Universities” for CODESRIA’s Africa Development Journal, Dakar, Senegal (2006). Trafford Publishing, 2014), 310 pages. South Africa,” for the ANR XenAfPol Conference, (2013). 15. “January 15th 1966 Coup D’etat Reconsidered,” for Faculty of Arts, University of Nigeria (2013). “Colonial Politics and Islam in Nigeria,” for Humanities Unit, School of General Studies, University of Nigeria ( 2011). 1. “Trends in the Transformations within African Islam, South of the Sahara,” panel proposed under the theme: Religious Communities in Society; Adaptation and Transformation, for the 21st World Congress of the International Association for the History of Religions’ Dynamics of Religions: Past and Present, Erfurt, Germany, 23-29 August 2015. 2. 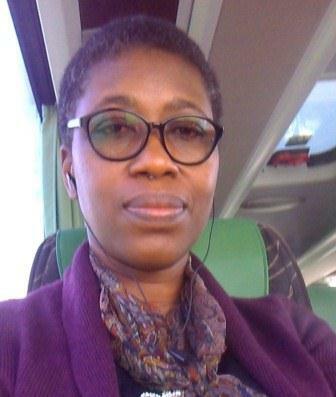 “Women Converts to Islam in Eastern Nigeria,” paper presented at the Joint conference of the Swiss Society Middle East and Islamic Cultures and the Swiss Society of African Studies on 24-25 April 2015 in Bern (Switzerland). Theme: Islam in Africa: Historical and Contemporary Processes of Islamisation and Re-Islamisations. 3. “Islam, Stability and Security in Eastern Nigeria,” paper presented at the 12th Annual Conference of the Fulbright Alumni Association of Nigeria, Zaria, 12-15 October 2014. 4. “Diaspora Communities and the Development of Onitsha Markets” joint paper with C. Agbo presented at the First Annual African and African Diaspora Studies Conference, College of Staten Island, The City University of New York, 9-10 October 2014. 5. 58th/59th annual Congress of the Historical Society of Nigeria, University of Nigeria, Nsukka, 22-25 September 2014. Theme: 100 Years after Amalgamation. 6. “Methodology and the Study of Islam in Eastern Nigeria,” paper for the 13th International Conference of Africanists, Moscow, Russia, 27-30 May 2014. Theme: Society and Politics in Africa: Traditional, Transitional, and New. 7. “ ‘Where your problem is solved is where your God is:’ Narratives of Conversions to Islam in Nigeria’s eastern Niger Delta,” presented at the Cambridge – Africa Programme, University of Cambridge, U.K., 26 February 2014. College, Abuja, 20 February 2014. 9. Conference: Beyond Consent and Dissent - Women, Power and Religions in Modern Africa, held at Newnham College, University of Cambridge, 17-18 January 2014. 10. “African Female Historians and the Shaping of African Historiography in the Twenty-First Century,” paper for the Thirty-First Annual Meeting of the Association of Third World Studies holding at the Indian Institute of Technology, Madras, Chennai, India, 28-30 December 2013. Theme: Prioritizing the Future: Continuity and Change in the Global South 21st Century. 11. Discussant at the ANR XenAfPol Conference held at the University of Cambridge, 16-18 December 2013. Theme: The Politics of Xenophobic Exclusion; Mobilisations, Local Orders and Violence. 12. With C. N. S. Okoro and C. C. Agbo, “Islam and the Expansion of the Essential Services’ Sector in Eastern Nigeria, 1960-2010,” paper for the 5th All African Historians’ Conference holding at Abuja, 10-14 November 2013. 13. “ ‘See, we have dipped the Qur'an into the sea’: Islam in Nigeria's Eastern Niger Delta Region, 1890 - 2011,” presented at the Centre of African Studies, University of Cambridge, U.K., 6 November 2013. 14. “Contributions of African Female Historians to African Historiography: 1960 to Present,” lead paper presented at the International Colloquium on Emergent Women’s Writing in German and African Literature, University of Nigeria, 7 June 2013. 15. “Continuity and Change in Onitsha Traditional Burial Culture since 1960,” joint paper with C. Agbo at the Conference on Dying, Death and the Politics of After-Death in the African World, held at the University of Nigeria, Nsukka, 22-25 April 2013. 16. “North Africa, Security and Development Issues,” Commissioned lecture delivered at the Nigerian Defence College, Abuja, 28 February 2013. 17. “Critical Evaluation of the Nigerian Historiographical Tradition,” paper presented at the 57th Annual Congress of the Historical Society of Nigeria, Lapai, Niger State, 28 – 31 October 2012. 18. “Factors that Promote Corruption in Nigeria: A Case Study of Profit and Profit Making among Onitsha Market Traders,” joint paper with C. Agbo presented at the 57th Annual Congress of the Historical Society of Nigeria, Lapai, Niger State, 28 – 31 October 2012. 20. 56th annual Congress of the Historical Society of Nigeria held at Osun State University, 31October-2 November 2010. 21. 55th annual Congress of the Historical Society of Nigeria held at Ahmadu Bello University, Zaria, October 2010. 22. “Conflict and Islam in Nigeria’s Niger Delta Region: A Preliminary Research Report,” paper presented at the International Conference and Humboldt Kolleg on Islam in Nigeria’s Eastern Region and the Lake Chad Basin, Calabar, Cross River State, 26-29 September 2010. 23. 10th Annual Conference of the Fulbright Alumni Association of Nigeria held at Benue State University, Markurdi, 10-13 May 2010. 24. 54th annual Congress of the Historical Society of Nigeria held at Nasarawa State University, March 2010. 25. “Negotiating relationships in a mixed religious society: Islam in Southeast Nigeria,” paper for the 52nd Annual meeting of the African Studies Association, New Orleans, Louisiana, 19-22 November 2009. 26. “ ‘Multiple people, multiple ignorance:’ Opinions on the Shari’ a from Southeast Nigeria,” paper for the Twenty-seventh conference of the Association of Third World Studies, Elmina Beach Resort, Cape Coast, Ghana, 21-24 November 2009. 27. “Rethinking the Construction of Masculinities and Femininities,” 2009 Sexuality Leadership Development Fellowship, Lagos, 21 July 2009. 28. “Researching Islam in Southeast Nigeria,” International conference in honor of Prof. Adiele Afigbo, University of Nigeria, 8-10 December 2008. 29. “New Dawn for Islam in Nigeria,” Berlin-Brandenburger Humboldt-Dialog, Technical University, Berlin, 13 August 2008. 30. “Routes of Expansion: North – South migrations and the extension of Islam to Southeast Nigeria,” Moving Cultures, Shifting Identities’ Conference, Flinders University, Adelaide-South Australia, 3-5 December 2007. 31. "Islam in Southeast Nigeria: Who is Converting and Why?," 25th Annual Conference of the Association of Third World Studies, Lima, Peru, 18 – 20 November 2007. 32. “Frauen und Konflikt in Afrika: Die Nigerian – Biafran Erfahrung,“ Vortragsreihe Afrikanischer Gelehrter, Internationales Zentrum der Westfälischen Wilhems-Universität, Münster, 20 April 2007. 33. “Islam in Southeastern Nigeria,” Vortrag im Rahmen des Afrikakolloquiums, Institut für Asien- und Afrikawissenschaften, Humboldt-Universität zu Berlin, 07 February 2007. 34. “The Igbo and Islam,” 49th Annual Meeting of the African Studies Association, San Francisco, 16-19 November 2006. 35. “De-masculinising development and democracy in Africa: Challenges and Opportunities,” CODESRIA/ AARC Gender Symposium, Cairo, Egypt, 12-14 November 2006. 36. “Understanding masculinities for gender equality,” 6th Conference of the Fulbright Alumni Association of Nigeria (FAAN), 14-17 February 2006, Bayero University, Kano. 37. “Towards an understanding of changing masculinities for gender research in Africa,” CODESRIA/AARC Gender Symposium, Cairo, Egypt, 27-29 October 2005. 38. “Constructing masculinities,” 2005 CODESRIA Gender Institute, Dakar, Senegal. 13 June 2005. 39 “Gendered violence in African Civil Wars,” 2005 CODESRIA Gender Institute, Dakar, Senegal. 21 June 2005. 40. “Contemporary perception of masculinity by Nigerian youths,” 2005 CODESRIA Gender Institute, Dakar, Senegal, 30 June 2005. 41. “Female education in Nsukka Division,” (With Dr. Jamaine Abidogun, Missouri State University, USA), Fulbright Connections, University of Nigeria, Nsukka, 18-19, May 2005. 42. “The Nigerian Civil War from the memories of children,” Rutgers Center for Historical Analysis’ Children and War Conference, State University of New Jersey, Douglas Campus, New Brunswick, New Jersey (USA), 7-9 April 2005. 43. “Anioma women and the Nigerian Civil War,” West African Seminar Series, Department of Anthropology, University College London, December 2004. 44. “The Dynamism of Yoruba Muslims,” Conference on Yoruba Culture, University of Texas, Austin (USA), 1-2 April 2004. 45. “Women and the 2003 Elections,” 4th Annual Conference of the Fulbright Alumni Association of Nigeria (FAAN), Jos, 30 November–3 December 2003. 46. “Women marrying women: A cultural revival among the Igbo,” 46th Annual Meeting of African Studies Association, Boston (USA), 30 Oct–2 Nov 2003. 47. “Teaching in an African University,” 9th Annual Conference of the Mid America Alliance for African Studies (MAAAS), University of Kansas, Lawrence (USA), 2-3 Oct 2003. 48. "Labeling female academics in a University," (with Nkiru Awachie, University of Nigeria), 13th General Assembly of the Social Science Academy of Nigeria, Abuja, July 2003. 49. "Rehabilitation program in Anioma after the Nigerian Civil War," Igbo Studies Conference, Cornell University, Ithaca, New York (USA), 2-4 April 2003. 50. "The growth of Asaba and Boji-boji as urban areas in Anioma," Conference on African Urban Spaces, University of Texas at Austin (USA). 25-27 March 2003. 51. "Religion and Nation-Building," 46th Congress of the Historical Society of Nigeria, Benue State University, Makurdi, October 2002. 52. "Nigerian Muslim Women," Seminar sponsored by the Women Studies' Program, University of Kansas, Lawrence (USA), 14 April 2002. 53. "Anioma women and the Nigerian Civil War," Conference on Nigeria in the Twentieth Century, The University of Texas at Austin (USA), 27-30 March 2002. The University of Texas at Austin (USA), 27-30 March 2002. 55. “Rural girls’ lives in Anioma,” UNCG Conference on Girls' Real Lives, North Carolina at Greensboro (USA), February 2002. 56. “The impact of the Nigerian Civil War on Women,” Seminar series of the Department of Political Science and the Center of African Studies, University of Kansas, Lawrence (USA), October 2001. 57. "Modernizing Female chieftaincy Institution in Anioma," 7th Annual Conference of the Mid-America Alliance for African Studies (MAAAS), University of Missouri, St. Louis, (USA), 27-29 September 2001. 58. "Rating of slaves in the West Niger Igbo area," International Conference on the Repercussions of the Atlantic Slave Trade, Enugu (Nigeria), 10-16 July 2000.